We all know that gratitude is one of the fundamental elements in using the law of attraction. We know that being grateful for what we already have, tells the Universe that you are ready to receive more of the same. When you exist in the great state of gratitude, you become a person who only wants to give. You become so grateful that it takes over your life, and you can't find enough opportunities in a day to give. 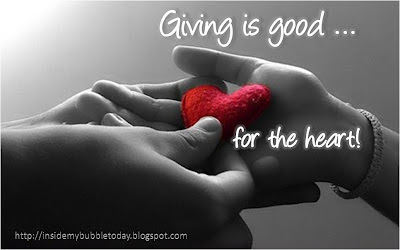 You give joy, you give love, you give money, you give appreciation, you give compliments, and you give kindness. You give the best of yourself in your job, in your relationships, and to strangers. You will know when you have really found true gratitude, because you will become a giver. One who is truly grateful cannot be anything else.